Home News South Korea's Winter Olympics may be TOO COLD for spectators to show up after stadium was built with no roof to save time and money . South Korea's Winter Olympics may be TOO COLD for spectators to show up after stadium was built with no roof to save time and money . 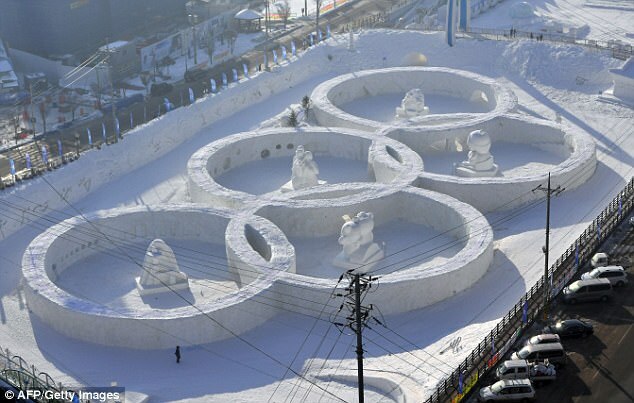 South Korea's winter Olympics organisers have worries other than a ban on Russia competing, poor ticket sales and tensions over North Korea. They fear it may be too cold. The organising committee's concerns are contained in an internal document, which expects biting winds to make conditions inside the open-air stadium at the start of the Games seem like minus 14 degrees Celsius. That 'feels-like' temperature is lower than the minus 11 degrees recorded at the 1994 Lillehammer Games in Norway, whose stadium also lacked a roof and is so far the coldest Olympics for which such data is available, the internal document shows. No comparable data could be found for earlier Games. South Korea, which built Pyeongchang's $58 million stadium without a roof to save time and money, plans a range of measures at opening and closing ceremonies to prevent people suffering hypothermia -- from distributing hot packs and blankets to speeding up security checks, the internal document shows. Organisers also plan to use audience participation during pre-ceremony entertainment to help keep spectators warm, the document says without giving details. After the news last month that six people had reported hypothermia during a pop concert at the stadium, organisers are also considering installing more large windshields around the stadium, a sports ministry official said. 'These are stopgap measures,' said Shim Ki-joon, a ruling-party lawmaker, who sits on a parliamentary special committee set up to support the Games. 'This is a very serious issue. This is creating a headache to not only the organisers but the presidential office, which sent officials to the venue to figure out ways to fight the cold,' he said. President Moon Jae-in has invited Chinese President Xi Jinping and Japanese Prime Minister Shinzo Abe to the Games, among other VIPs. U.S. President Donald Trump has committed to sending a 'high-level' delegation, the White House has said. In Lillehammer in 1994, the ceremonies were held outdoors and organisers scrapped the tradition of releasing doves, a symbol of peace, because they worried the birds might suffer. Instead, the Norwegians released white dove-shaped balloons. 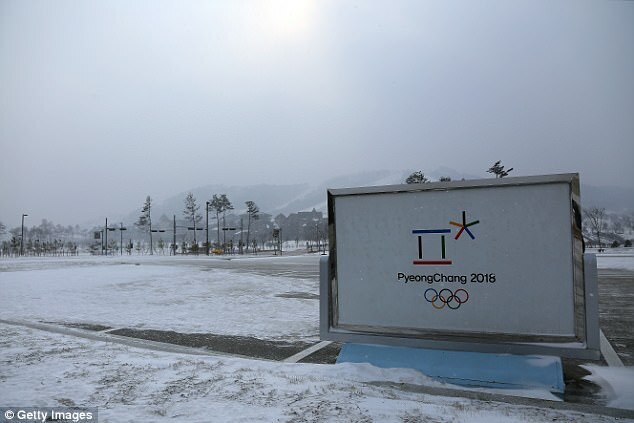 The International Olympics Committee discussed Pyeongchang's cold weather at its executive board meeting this week, Olympic Games Executive Director Christophe Dubi told a news conference. 'It is not something we have not encountered in the past,' Dubi said on Wednesday, citing Lillehammer as well as the Salt Lake City Games in 2002. The cold weather is at least a manageable problem for the organisers. Its other headaches are less so. Political tensions with North Korea and China have chilled foreign interest in the Pyeongchang Games, which open just 80 km (50 miles) from the world's most heavily fortified border. Seoul's Defence Ministry will deploy some 5,000 armed forces personnel at the Games, double the 2,400 on duty during the 2002 World Cup, which South Korea co-hosted with Japan. As well as investing $17.6million in security for the event, a new Special Weapons and Tactics team has also been created to guard against terrorism and assassination attempts. As of Dec. 5, ticket sales totalled 578,000, or 54 percent of target, though an organiser said that was similar to sales at a similar point ahead of the Sochi Games in Russia in 2014. Pyeongchang organisers had urged South Korea to equip the stadium with a roof and heating, but this was rejected due to costs and concerns over whether the structure would support a roof. The temporary arena is to be dismantled after the Games. 'The cold could ruin the entire opening party. The fate of the event is down to the mother nature,' said ruling party lawmaker Yeom Dong-yeol at the Pyeongchang parliamentary committee, who was born and raised in the town.